Report and highlights from a weather-affected final round at Pebble Beach. 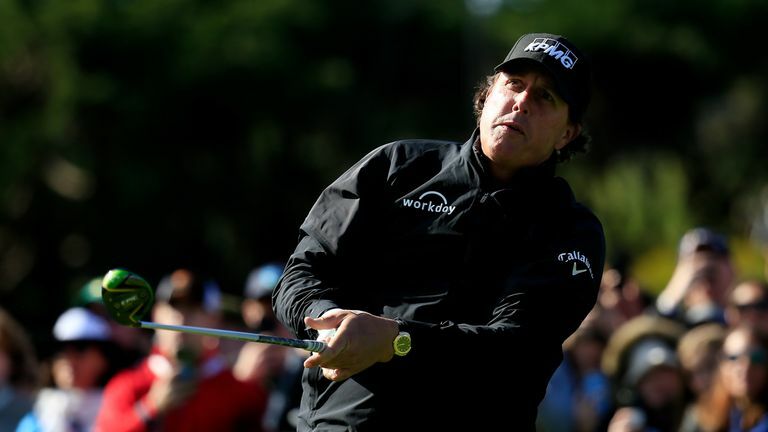 Mickelson had turned a three-shot deficit into a three-shot lead when play was suspended due to fading light at 5.55pm (1.55am GMT), with the American closing in on a fifth Pebble Beach victory. The five-time major champion was six under after 16 holes and hopeful of completing his round, only for playing partner Paul Casey to stay firm and say it was too dark to continue. "I wanted to try to finish tonight because I'm playing well," Mickelson said. "We've got to finish it off, so I don't want to jump the gun and look ahead [to a potential win]. 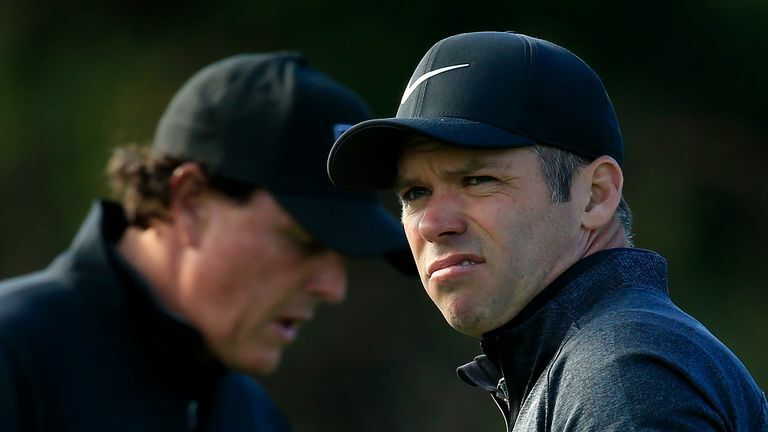 "I get exactly where Paul [Casey] is coming from. It's dark and we're going to have a good chance tomorrow to come out on fresh greens and have them mown. They got pretty rough this afternoon so I totally get it. "But I have pretty good vision, I can see fine, and I'm playing well, so I wanted to continue and that's all there is to it." The final round started an hour late because of rain and then delayed two more hours due to a hail storm, leaving the final groups in a race against time to finish in daylight. Casey lost his 54-hole lead and was level par on the 16th green when he felt it was too dark to putt, with the Englishman left with a four-foot putt for par when play resumes on Monday. "I'm surprised we got this far [to the 16th green]," Casey said. "I think if there was an ability to finish all 18, we would keep going. "I genuinely couldn't see my putt there on 16. Mark Russell [PGA Tour rules official] gave us the option to finish, which is why I marked it. So hopefully I can see what I've got for par, knock that one in, and then I'm going to smash it straight at it. "Really I need to go kind of minimum birdie-birdie or birdie-eagle and that might not be good enough, but that's the plan."